Jackson Hole and Grand Teton National Park have a rich history of climbing and mountaineering. Learn more about where to climb. 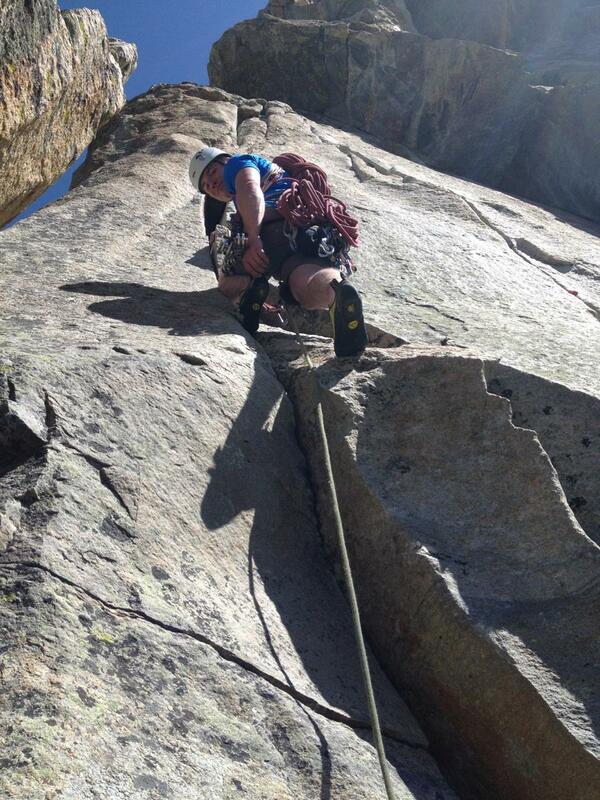 Rock climbing is a favorite past time in Jackson Hole. Whether you are a beginner, who is just looking to get started and try this fun outdoor sport, or you are a more advanced climber - we've got options for you. Here are some of our top recommendations for where to climb and boulder in Jackson Hole and Grand Teton. Taking the Jackson Hole Mountain Resort Aerial Tram is easily one of the most unique ways to approach a wall. The Aerial Tram covers about 4,500 vertical feet in just under 10 minutes with sweeping views of the Tetons and the entire valley. Ride up with site-seers and hike around to the bottom of the famous Corbet's Couloir to find bolted climbs ranging from 5.10 - 5.13. An added benefit: as the tram goes up and down for the day you can impress the passengers with your super sweet climbing skills. Another cool crag in the valley is Black Tail Butte. Located in Grand Teton National Park this multi-wall area has some of the hardest sport climbing in the valley, but also offers easier climbs a short hike from the parking lot. With its majestic location make sure you take plenty of pictures of you and your friends hanging from the rock with the Grand Teton in the background so you can share on Facebook later. For those looking for more mellow climbs, the Rodeo Wall near Hoback Junction is probably your best bet. Climbs here pretty much top out at 5.11 and you'll get to see whitewater rafters as they float down the Snake River. Make sure you hop on "Time Flies While You're Alive In Wyoming", probably one the area's best climbs. If you are new to the sport and want to get a feel for the adventure of rock climbing in a safe and approachable way, Via Ferrata is an outdoor climbing course and adventure available at Jackson Hole Mountain Resort. Via Ferrata allows you to work with a knowledgeable guide to scale bridges and walls high above the valley floor. It's a great option for families and individuals looking for a taste of adventure. Snow King Resort is located right in downtown Jackson, WY and offers a ton of family-friendly activities all year round. In the warmer months, try your hand at climbing on the bouldering wall in Teton Boulder Park, located at the base of Snow King, for a free and fun outdoor challenge. There are nearby areas, such as Phil Baux Park, to picnic and enjoy the weather too. There is an area called The Enclosure, consisting of 21 slabs of Oakley granite honoring Native American vision questers engraved with the words "In honor of those we have lost to the mountains." While you are there, try some of the other on-mountain activities like the Cowboy Coaster or the Treetop Adventure course too! In early spring, Guide's Wall is a great option as you wait for snow to melt. This climb rises over 800 feet from the canyon floor over 6 pitches and offers several variations to suit many different levels of climbers. 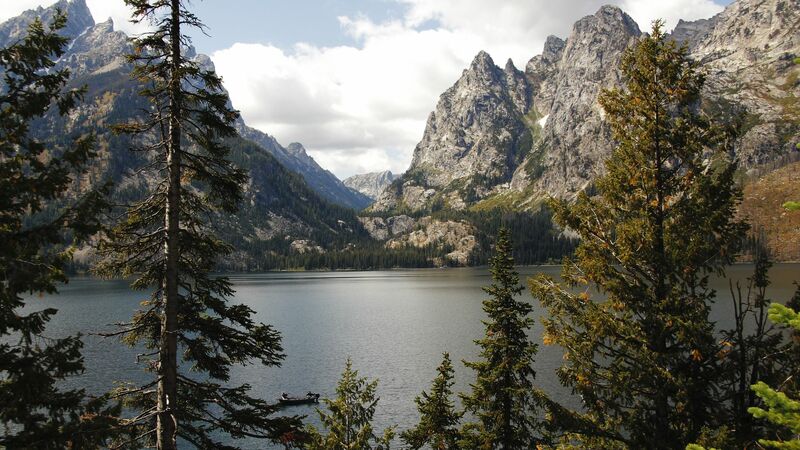 To get to the base of the route, climbers can hike approximately 5 miles around the southern tip of Jenny Lake and up Cascade Canyon or the more preferable option, which is to take the Jenny Lake Ferry straight across the lake, which shaves more than 3 miles off the approach. Following the trail up Cascade Canyon climbers can look for cairns that signify the turn off for the trail to the base of the climb. This portion of the hike is up a 30-degree slope and covers a talus slope of watermelon to couch sized boulders. The climb itself is considered one of the classics in Grand Teton National Park. The climb is on the north wall of Cascade Canyon and meanders up a ridgeline topping out on a narrow ledge below the summit of the wall. The first 4 rope lengths are relatively easy and are an excellent warm-up for the last two quintessential Teton pitches. Once at the final ledge four 60-meter rappels get the climber back to the base of the climb. If you would like to experience rock climbing or other outdoor adventures, call Jackson Hole Central Reservations at 888-838-6606 and our friendly staff will customize your dream vacation. Whether it's Jackson Hole, Grand Teton or Yellowstone National Park, we offer local expertise and unbeatable savings.